Cork is harvested from the renewable bark of the cork oak tree and is a completely natural product. The trees are not damaged or felled. Harvesting occurs once every nine years and the tree can live up to 200 years. Truly one of nature's inexhaustible resources! 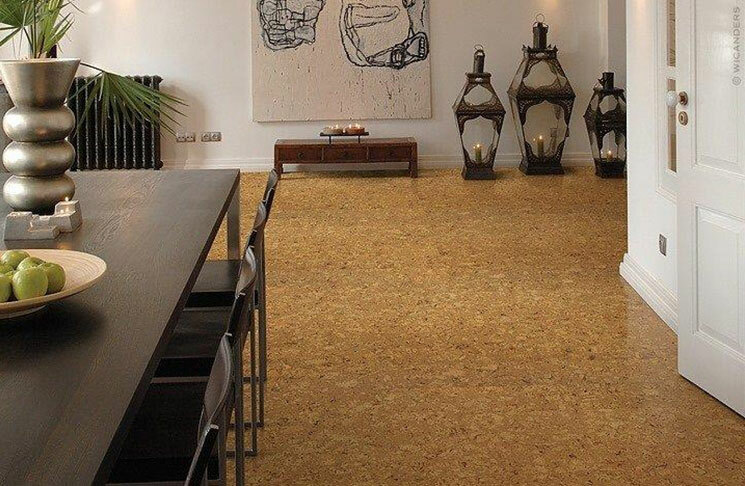 Cork flooring, with its natural thermal insulating qualities, is like a hug from nature enveloping your home in warmth, quiet and comfort. Unique patterns, textures and colors create an environment in harmony with nature and your lifestyle.